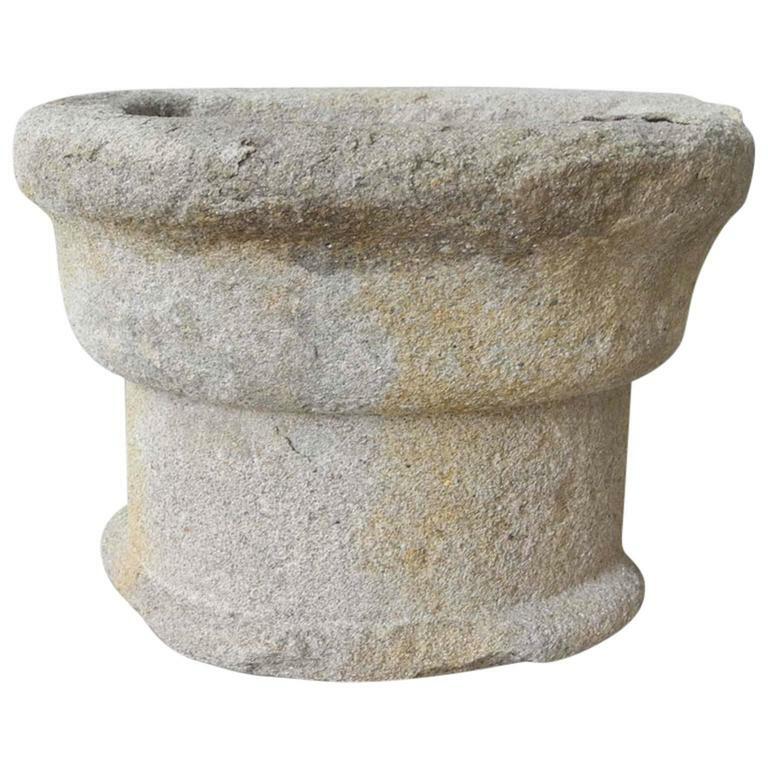 This is tiny and lovely 17th century antique baptismal font (benetier) stone element from a church near Uzes, France. 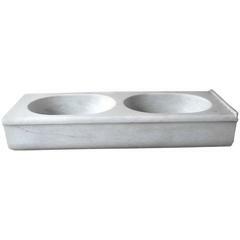 It is so small it can be used to hold a small plant or to display as decor as well. 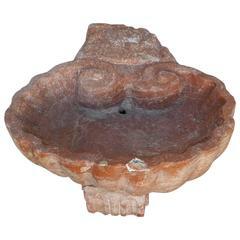 It has a remarkably historical feel and would be an adorable addition to any space. 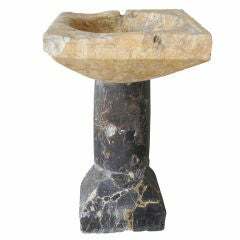 Authentic two beautiful water wells in octagonal gray sandstone with base, originally from the west of India. 17th-18th century Measure: H. 63 cm. 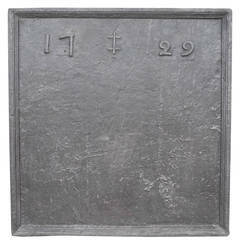 Belgian cast stone corner sink, circa 1890. Great patina from outdoor use in a local park. Can be used indoors or out. 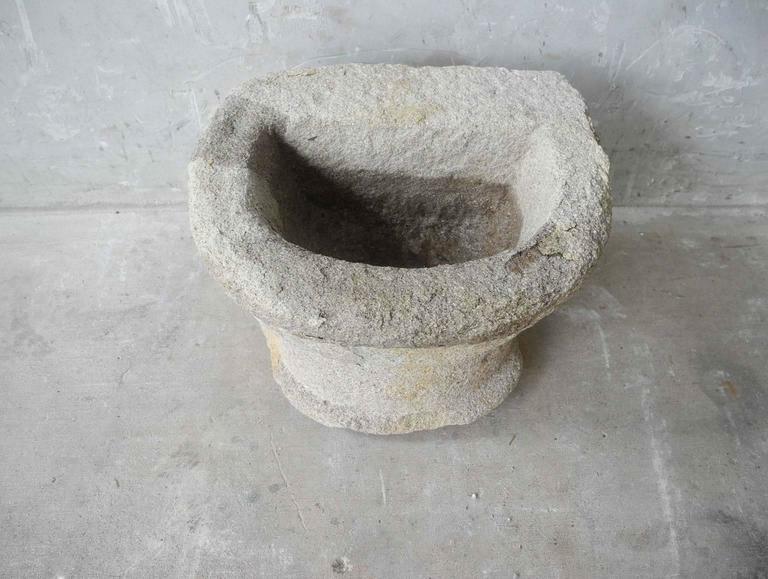 A French Primitive mortar in sandstone dating from the 17th century.